Who says that Cotswolds breaks have to be about passing the day in a leisurely manner all the time? Keep in mind that Cotswolds England is an Area of Outstanding Natural Beauty spanning over 2,000 square kilometres with the landscape characterized by rolling meadows and countryside, lush woods and bountiful farms, as well as beautiful lakes, streams and rivers. Add in the bustling towns and charming villages and you have many opportunities to enjoy an adventure of a lifetime. 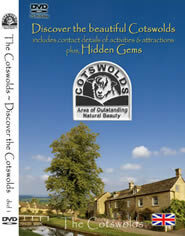 We always suggest planning your adventure itinerary before coming to the Cotswolds. With several adventure tour operators in any given area, you can have your fill of activities from diving to gliding but you will want to look at your available budget, too. Call the operators for more information, ask the hotel staff and make inquiries about the adventure opportunities present in each town or village. One of the most popular activities during Cotswolds breaks is skydiving and gliding, the reasons for which we can understand. The view from the sky of the Cotswolds countryside, towns and villages certainly beats the view from the ground. It must be the crisp air rushing through your body while freefalling or gliding. It must be the different perspective of the Cotswolds England landscape with meadows folding into woods and bustling towns giving way to quaint villages, all in one fell swoop. It must be the total mind-and-body experience of skydiving. Whatever it is, skydiving and gliding are musts on your adventure itinerary here. Yes, both first-time and skilled skydivers and gliders are welcome to join in establishments like the Skydive South Cerney and the Cotswold Gliding Club. Cotswold Forest School, which is located in Clayhill Copse, Ashton Keynes, provides for courses in outdoor survival. Classes include instructions on fire lighting, shelter building, and tracking wild animals. Cornbury Camp boasts of 3,000 acres of woodland where wilderness adventure camps are conducted. Families enjoy it here simply because bonding time is maximized sans the modern electronic gadgets. The next time you are choosing from among numerous Cotswold breaks options, we suggest taking the path of adventure. Not only will you be able to see the English countryside at its best but you will also learn many things about yourself and about survival along the way. Many attest to the belief that a few days away in the beautiful Cotswolds lifts the spirits and re-energises us all. A Cotswold Break,whether it be winter,spring,summer or autumn will be nice as each season in the Cotswolds has its own beauty. Visitors to the Cotswolds often mix and match their stay-they stay one night in a hotel and then try a Cotswold farm stay or a Bed and Breakfast.It keeps costs down and both experiences are unique. Self catering cottages such as Blackpitt Farm at Stow-on-the-Wold and Pear Tree holiday cottages at Stratford-upon-Avon are other ideal options. 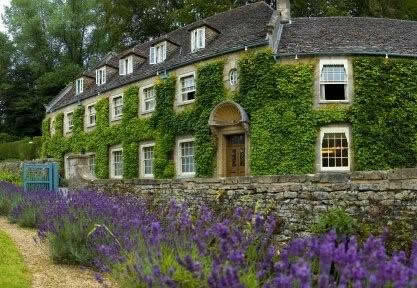 A weekend or a few days away in the glorious Cotswolds will be bound to be wonderful.